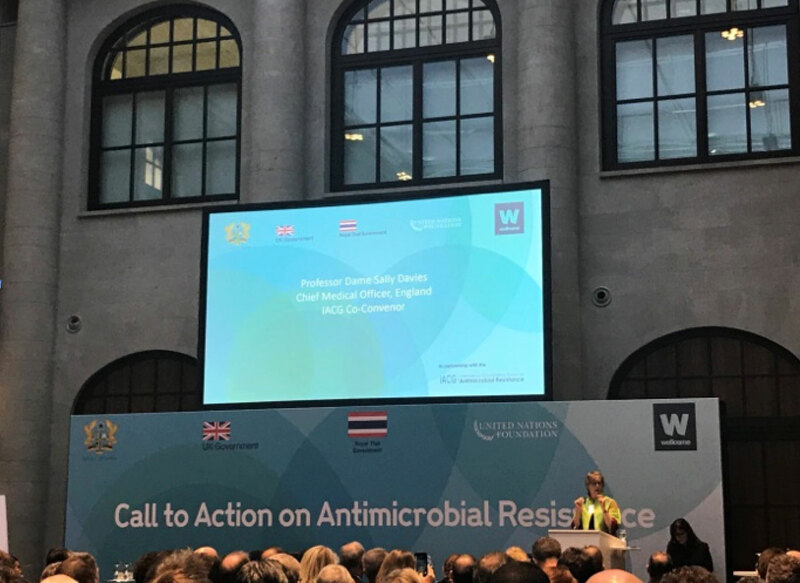 The Global call for action on drug-resistant infections took place on 12-13 October 2017 in Berlin. It has been organized by Wellcome in partnership with the UK, Ghanaian and Thai governments and the UN Foundation. It will support the work of the Antimicrobial Resistance Inter-Agency Coordination Group (IACG). The event was an opportunity for national governments and multilateral institutions to come together with the civil society, private and philanthropic sectors to focus on the most critical gaps in tackling the development and spread of drug-resistant infections, and to commit to concerted and tangible actions. The IACG is an ad hoc group established to help sustain and coordinate effective global action against drug-resistant infections. It was set up by the United Nations (UN) following last year’s landmark UN General Assembly High Level Meeting on Anti-Microbial Resistance (AMR) and Political Declaration. Since that declaration, the global community has begun a wide range of initiatives to respond to the deadly threat. But there is still a pressing need to improve how these are aligned, build the means needed to sustain a global response, and make sure our response reflects the huge scale of this issue. This event draw this work together. The AMR Industry Alliance contributed and Action Statement.